Traffic accidents claim thousands of lives every year. There's no way to prepare for the devastation of a serious car accident. Yet there is much you can do after an accident to pave a path toward recovery. The attorney you choose to stand up for your rights can make a big difference in the outcome of your case — especially if you have suffered a serious injury or lost a loved one. 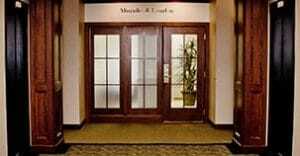 At Murphy & Landon in Wilmington, Delaware, you will find trusted legal advocates with a strong record of success. We have fought against many of the nation's largest insurance companies, and we have won millions of dollars on behalf of injury victims and their loved ones. We have repeatedly exceeded expectations in fighting for clients' rights. We will do everything in our power to get you the compensation you deserve. We know how hard it is to cope with the tragedy of a serious auto accident. The last thing you need is a lawyer who sees your misfortune as just another file. Because we are a small firm, you can expect a far more personal experience from our legal team. You won't get left in the dark. We will walk you through what to expect at each stage of the process, offering realistic explanations to avoid surprises. Choosing a lawyer is a critical decision. You can feel confident with our team of personal injury lawyers fighting for you. Complete the online contact form or call 302-472-8100 for a free consultation. Our law firm is one of only a few in Delaware to prevail in a personal injury case against General Motors for a defective auto design.